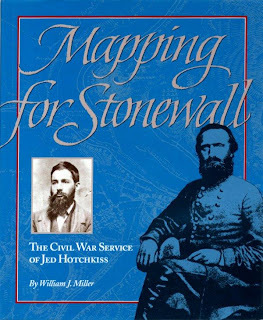 William J. Miller is the author of Mapping for Stonewall: The Civil War Service of Jed Hotchkiss (winner of the Fletcher Pratt Literary Award), and is author or editor of several other volumes, including, with Brian Pohanka, An Illustrated History of the Civil War. A former editor of Civil War magazine and one-time English teacher at James Madison University, Bill is perpetually editing Jed Hotchkiss's war-related letters and papers for publication (at least he had better be). Click here for a biography of Hotchkiss at the CWPT site. Visit the Library of Congress here to see the Hotchkiss collection. Q. (Civil War Forum): Bill, what many here probably don't know is that you actually live in Jed Hotchkiss's wartime house. Do you find any inspiration in this as you work on his papers? Seen any ghosts? A. (Bill Miller): I do find it pretty exciting, I guess unique, that I get to edit these papers, these letters, in the same house to which they were written. His wife and family lived here during the war, and of the hundred and seventy or so letters that he wrote home during the war, they all came here, to this property. His wife lived in this house, and his brother lived in a house just up the road, and he wrote 170-some odd letters to his wife and brother, and it's kind of neat working on those now, and editing them, interpreting, in the same place they were written to 135 years ago. Q. (CWF): Opposing officers went into the Civil War with a shocking paucity of reliable maps. Did the military ever attempt or consider any need to comprehensively map the country in the antebellum period in the event of an external invasion? After all, it was less than 50 years since the War of 1812. A. (Bill Miller): I'm not an authority on that. My experience in researching Hotchkiss did extend to what maps had been made of Virginia before the war, and they were, again, certainly by modern standards, inadequate. And I think by contemporary military standards, were inadequate as well. The U.S. Coast Survey was in existence before the war, and had produced oceanographic maps of coastal areas, but inland areas, even, for example, as little inland as the Virginia peninsula between the York and James Rivers, which was very definitely a coastal area and little more than 50 or 60 miles at the extreme inland extent, was unmapped, as Robert E. Lee found at the outset of the Seven Days Campaign in June 1862. Q. (CWF): Were Hotchkiss's maps reproducible and, if so, what method was used? One problem I recall from even as late as Five Forks was conflicting maps. A. 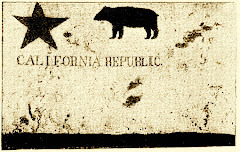 (Bill Miller): As far as the reproduction of maps goes, the Federals had photographic methods by which to produce maps. The Confederates did not. The Confederates did have a chemical process by which they could reproduce maps, something like a mimeograph process that we used up until 10 years or so, I guess, whereby they would use chemicals and sunlight and treated paper to reproduce maps. I don't know how widespread that process was. Hotchkiss's maps were reproduced by hand by draftsmen. Later in the war, 1864, 1865, he maintained an office in Staunton, Virginia, with at least two draftsmen making copies of originals. The copies were nearly identical to the originals. Q. (CWF): How long would it take him to complete a map. Did he work alone, or with a team? How was the scope of a specific map determined? A. (Bill Miller): It varied greatly, depending on the assignment. Many of his maps were made for strategic purposes. 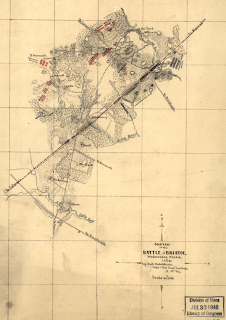 For example, Jackson requested that he make at least five copies of a map of Northern Virginia immediately before Jackson undertook his part in Lee's 2nd Manassas campaign. That map, of course, covered a very broad area. 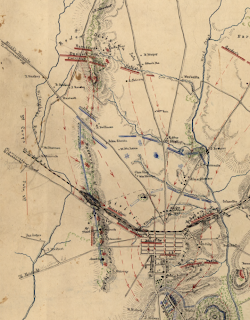 In the winter of 1862-63, Hotchkiss worked on a very large map of Northern Virginia, Maryland, and Pennsylvania, which was later used in the Gettysburg Campaign. Many of the maps Hotchkiss made were of much smaller areas: battlefields, and portions of battlefields. These were made to accompany and clarify the reports of general officers. As to his method of working, he did have assistants. He spent many hours working alone, surveying and sketching roadways and other features of the terrain on horseback. On these occasions he would often have a cavalrymen detailed to him to run errands for him. For example, the only true landmarks in much of Virginia, or all of the U.S. for that matter at the time, were residences. There were far fewer towns. Not all of the roads were named. There were no route numbers. So, in navigating from one place to another a traveler would need to know the names of crossroads, many of which are still in existence—the crossroads names that is -- and are familiar to students of the Civil war: Brice's Crossroads, for example, Polly Hundley's Corner, for example, in the Seven Days Campaign. . . The point is, there was no way to navigate from one place to another as we know it, so as Hotchkiss mapped these areas, it was important to note the names of residences and the names of crossroads and mills, and this required a great deal of riding about and inquiring of residents the name of yonder mill, or yonder house, or yonder crossroads. And for such errands Hotchkiss would, on occasion, have riders to assist him. There were other cartographers connected to Jackson's headquarters, and they worked under Hotchkiss's direction. Q. (CWF): What were his qualifications? Was he a civil engineer? Cartographer? A. (Bill Miller): He was self-taught. Before the war he taught himself the elements of surveying, and through practice became a competent topographical, or even, civil engineer. After the war, he went into business as a civil engineer, but he never attended formal classes, had no formal training as an engineer. He taught himself. Much of his value to Jackson was his intimate knowledge and intuitive understanding of the topography of the Shenandoah Valley. An analogy might be an expert mechanic can open the hood of a car and within a very short time understand the problems of the machinery. Almost intuitively Hotchkiss had what we call a sense of direction, and even more, an instinctive understanding of terrain. This permitted him to perform competently even in areas of Virginia, Maryland and Pennsylvania with which he was not intimately familiar. Q. (CWF): What was it about Mr. Hotchkiss that led to your detailed studies of the man and his work? A. (Bill Miller): He was a self-made man, in many ways he is the personification of all that America offers, and that's the truth—not just being hokey. He is the personification of all of America's possibility. He taught himself. He left home at age 17, walked from New York State, his home in New York State, to Virginia with nothing but what he could carry on his back, and became not only a person of great influence in the region, an educator of great repute by his early 30s, but by the time of his death he was without question the leading authority on Virginia's natural resources. He was the best informed, most knowledgeable geologist in Virginia's history. All of this achieved by a man who never attended any formal classes beyond the age of 17. He was, by any measure, a remarkable man, and would have been even had he not played a crucial role in those military campaigns that so interest us. Q. (CWF): Reportedly, Jackson was very secretive around his staff. Did this extend to Hotchkiss? A. (Bill Miller): It very definitely included Hotchkiss. The nature of Hotchkiss's job made it possible for him to divine beforehand what Jackson's plans were, or might be. For example, if Jackson asked for maps of a certain part of the state, Hotchkiss might surmise that Jackson was contemplating operations there. Jackson went to great lengths on at least two occasions to attempt to mislead Hotchkiss about the potential field of upcoming operations by deliberating asking Hotchkiss for maps of two or three different areas of the state. Hotchkiss on these occasions correctly surmised where Jackson was in fact heading. Jackson was a poor liar. Jackson was concerned about Hotchkiss's habit of being rather talkative. Personally, Hotchkiss was friendly, outgoing, and something of a chatterbox. This concerned Jackson. And in the fall of 1862, Jackson had a private talk with Hotchkiss suggesting that he may wish to curb his garrulous instincts. Jackson was secretive with everybody, and liked it that way.